From the same carpark as for the Anvil Rock, a sign to the left marks the way for a 400-metre, 5-minute walk to the Wind Eroded Cave. Depending on the season, it is possible to see wild boronia, flannel flowers, Erica, mountain devil, banksia, grevillea, scribbly gums and other plant along the trail. The cave is more correctly a giant overhang, with extraordinary honeycomb formations in matching honey-coloured sedimentary rocks. 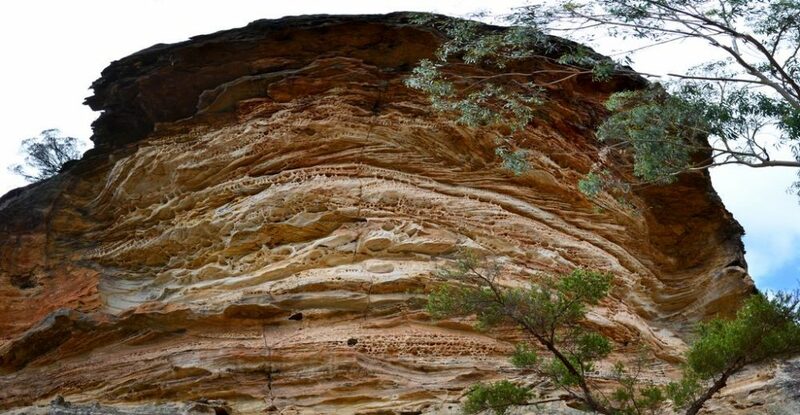 As its name suggests, the formation was created by wind erosion, caused by particles in the air effectively sandblasting the rocks over time. 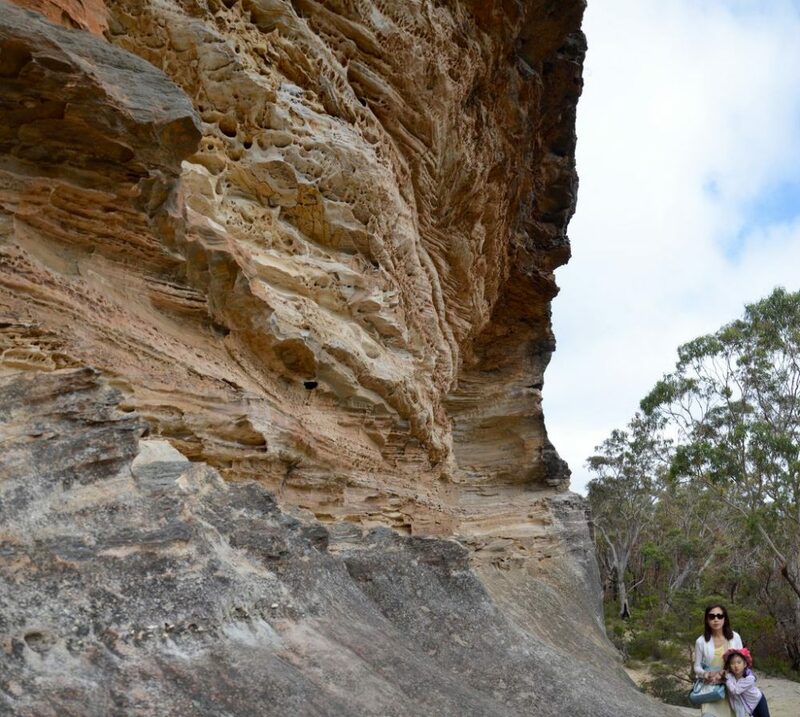 It is also known as Wave Rock due to its distinctive wave-like overhangs, comprised of eroded rocks. With its unusual shape and shades of yellow, the formation is a favourite shoot with amateur and professional photographers, and in particular has been photographed at sunset with stunning results.